Pumpkins are plentiful in the fall, and while you may have made pumpkin pie, pumpkin muffins, and even pumpkin fudge, that's not all you can do with this versatile squash. 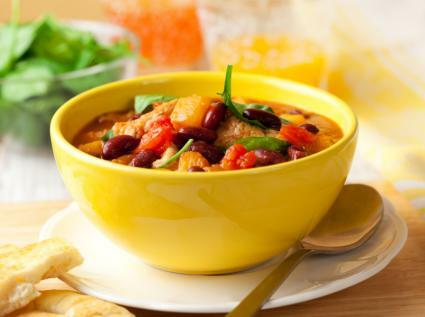 For something a little more out of the ordinary, try one of these delicious recipes. This slow cooker recipe uses pumpkin in place of tomato, so it yields a slightly sweeter - yet still spicy - chili. Drain the liquid from the beans and pour them into the slow cooker. Add the turkey, onion, apples, pumpkin, and spices. Stir well to combine; it will be very thick and difficult to stir at this point. Set the cooker to low and cook for eight to 10 hours. Stir the chili well. There will be significantly more liquid now, making it easier to stir. Hummus is a savory dip made from chickpeas and sesame seeds. 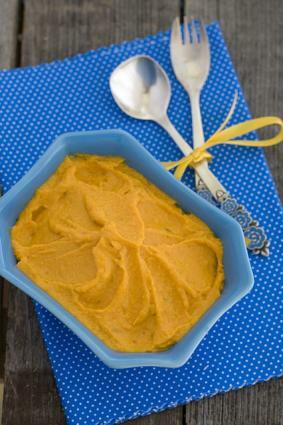 Adding pumpkin along with some maple syrup turns it into a sweet fall dip instead. Pulse a few times to break up the chickpeas and begin to combine. 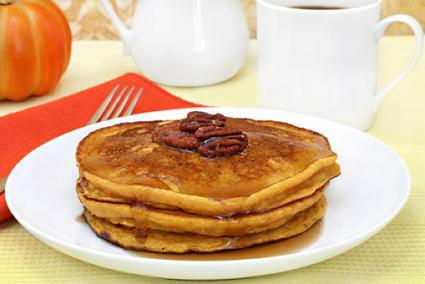 These pancakes are hearty and are made without any processed flours. 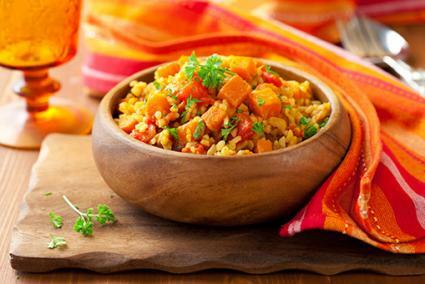 The addition of the pumpkin gives them a rich flavor and texture. Place all the ingredients in a blender and blend until completely smooth and the consistency of very thick pancake batter. Scoop out the batter 1/4 cup at a time and drop onto a hot, buttered skillet. You may have to smooth out the batter, as it can get very thick until warm. Wait for bubbles to form on the top of the pancakes, and then flip and cook for an additional two to three minutes. Chopped, roasted pumpkin adds a nice flavor and texture to an otherwise typical side dish. Arrange the pumpkin pieces on a baking sheet and roast at 400 degrees for about 30 to 35 minutes, until they begin to brown. Remove from oven and set aside. Heat the oil in a large skillet on the stove. Add the onion, celery, garlic, and spices and sauté over high heat until fragrant. Add the rice and chicken broth, reduce heat, cover and simmer for approximately 50 minutes, or until the rice is done. Stir in the pumpkin and serve. 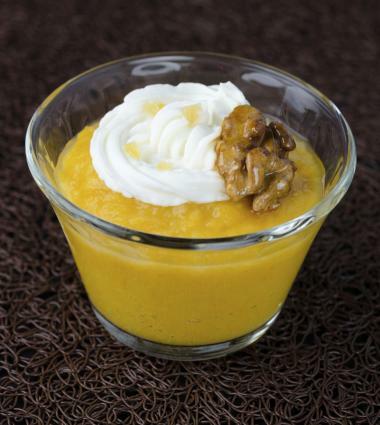 If you like to scoop the filling out of your pumpkin pie, leaving the crust behind, this pudding is reminiscent of the flavor and consistency you love. Beat on high to combine until thoroughly mixed. Pour into a 1-1/2 quart casserole dish, or into five or six individual cups. Bake at 350 degrees for 50 to 60 minutes, or until thickened. Serve topped with fresh whipped cream. Pumpkins are the ideal winter squash because they keep so well. Stock up this fall on fresh pumpkins and enjoy their unique flavor and texture throughout the winter months.